ø38mm metric boring head with M14x1.0mm mounting thread. 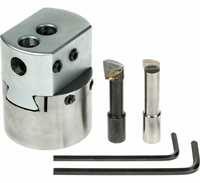 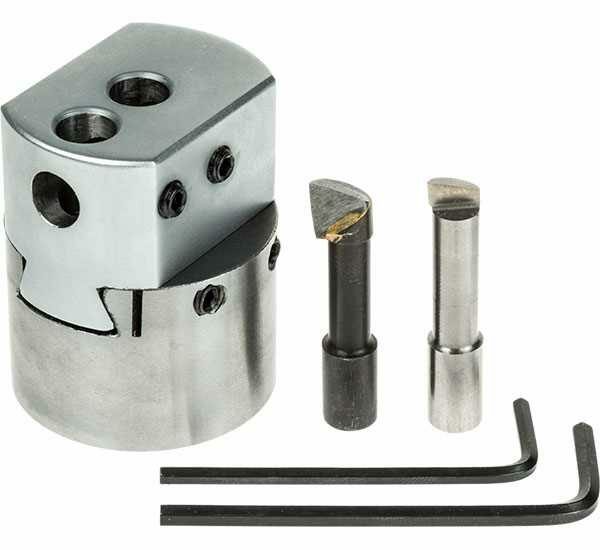 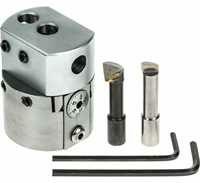 The head is suitable for ø8mm shank boring tools which can be mounted in three different positions. 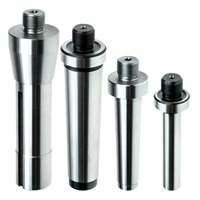 Satin chrome and steel finish.